Legislative sessions are endurance runs. From early January until mid-May, legislators, staff members, lobbyists, reporters, and others directly connected to the General Assembly are prisoners of the events unfolding at the Capitol. One of the best days of 2012 will be May 21. That’s a Monday. That’s the first Monday since LAST Monday, January 2, that there will be no House or Senate sessions to be covered, attended, or served. It is a wonderfully liberated feeling, especially in non-campaign years. We are free people again. 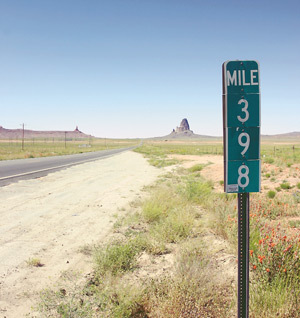 Each year we kind of check dates off as they arrive, mileposts on the journey to mid-May. The State of the State Address is one of those checkoffs. It’s next week, the 17th. Traditionally, the speech is an unofficial message to the legislature that says, “Okay, you can really get down to work now.” The governor proposes. The legislature spends the next four months disposing. The Senate, for example, says Thursday, March 1 will be the last day to introduce bills that are not appropriations bills. Bills introduced that late have limited chances for passage but they sometimes are about issues that can be amended onto other legislation during the debate process. Some are bills that are introduced and get a public airing so they can be better written when they go into the hopper for 2013. Some are just bills that sponsors know won’t go anywhere, but they’re introduced to satisfy this or that interest at home or elsewhere. Spring recess begins on adjournment a week later and lasts until the 19th. Daylight Savings Time arrives while legislators are gone–on the 11th. This is when some of us want the session to end. We walk out of the Capitol in the evenings and the sun is shining and it’s going to be daylight for a couple of hours after the day’s debate ends and we realize we are missing some wonderful hours because we’re cooped up in the Capitol covering events and then working into the evening writing stories. It’s the time of year when desperation begins to grow in the hearts of all who are prisoners of the General Assembly. Get this thing over with!! But there are still two more months left. Lawmakers take the Monday after Easter off. This year that’s April 9. By now we will have started counting down to ourselves the number of weeks left in the session. Throughout the session the House and Senate have taken time here and there to pass supposedly non-controversial bills. They’re known as “consent bills” because there’s nothing controversial about them although every now and then somebody finds a reason to object. But even non-controversial bills face a deadline. The Senate schedule says no consent bills can be put on the debate list after April 12. Then it’s May. Now we start to count the number of working DAYS that are left. And now a critical deadline looms. All of the appropriations bills are to be done by May 11, a week before adjournment. That’s a policy established several years ago so the last week of the session can focus on general issues. The system is one of the better things the legislature has done to its process. In the early days of the Missourinet, sessions used to go until mid-June and appropriations bills often were among the last bills passed. A “midnight special” often came along, racing the beat the clock, to fund projects or programs approved during the session. Somewhere in our audio files in the basement is a cassette of the last hours of a House session where a bill comes over from the senate with minutes or seconds to spare, a clerk racing down the center aisle of the House as the noise in anticipation of a rush-rush vote and an immediate adjournment motion grows louder. “Read the Bill!” shouts Speaker Kenneth Rothman, “Read the damn bill!” The title is hurriedly read; a motion is quickly offered; the tally board is opened for a vote; lights flash on the tally board; the board is closed; the clerk announces the total; the announcement is made of the vote; a hurried motion to adjourn comes from the floor leader; the gavel comes down; the session is over. Members throw their bills high into the air and there is cheering. The House members still do the paper throwing but it’s not the same. The paper-throwing in the House will be at 6 p.m. on May 18th. Over in the senate, the floor leader will probably note the time, calmly, move the senate adjourn, and it will. And senators will shake hands and pat each other on the back or the shoulder. Some might hug. A few post-session remarks will be made thanking the staff for its commitment and some other remarks will be made noting this is the last regular session for some people who are victims of term limits, and then the chamber will empty out. There will be post-session news conferences and by 7 p.m. on May 18th, the Capitol will start to grow quiet. And we will have survived another one. Twelve days later the session comes to an official end. The dozen days since adjournment have been filled with the final compilations of legislation, the printing of the final versions of the bills, their signings by legislative leaders that officially completes action on them before they go to the governor for his signature or veto. A few other landmark days will mark our path through the rest of the year as far as the legislature is concerned. On July 1, bills that didn’t make it in the 2012 session or that weren’t introduced can be pre-filed. They’ll stay in a folder until December 1 when they will be numbered for the 20-13 session. Most of the bills to be passed in the next four month go into effect August 28th. Lawmakers return on September 12 to consider overriding any bills the governor has vetoed. And then we wait for January when we can fire up the treadmill again.